Puerto Vallarta & Riviera Nayarit became a mecca of the culinary scene from November 1-18, 2012, with a plethan of gastronomy events showcasing the talents of local Master Chefs and guests chefs from around the world. The �Los Tres Mosqueteras� Three Muskateers, Chef Thierry Blouet, Chef Heinz Reize and Chef Roland Menetrey creators of the event glowed with pride at the opening world chef welcome party. Blouet and Reize presented the event for the first time 18 years ago, and in 2000 Chef Menetrey joined the partnership to highlight the vibrance of the gastronimique in Puerto Vallarta. The event evolved and invited star chefs from around the world now travel to the event to share their expertise. 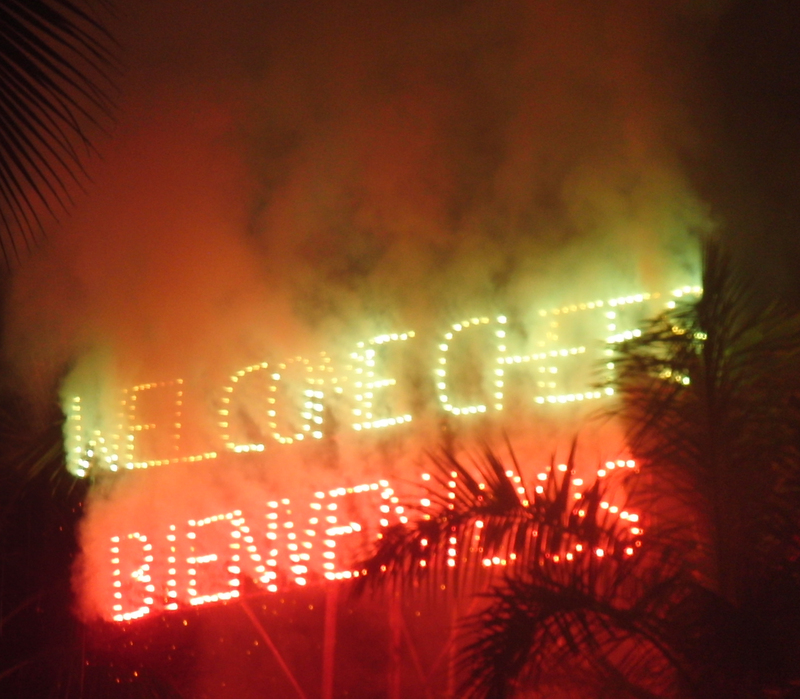 The opening world chef�s welcome party, held at Marival Residences & World Spa in Riviera Nayarit included the best in Mexican gourmet food & wine, live music and Mexican dancers, fireworks and a chef awards presentation by Master Chefs� Blouet, Reize and Menetrey. The evening could only be described as magical. 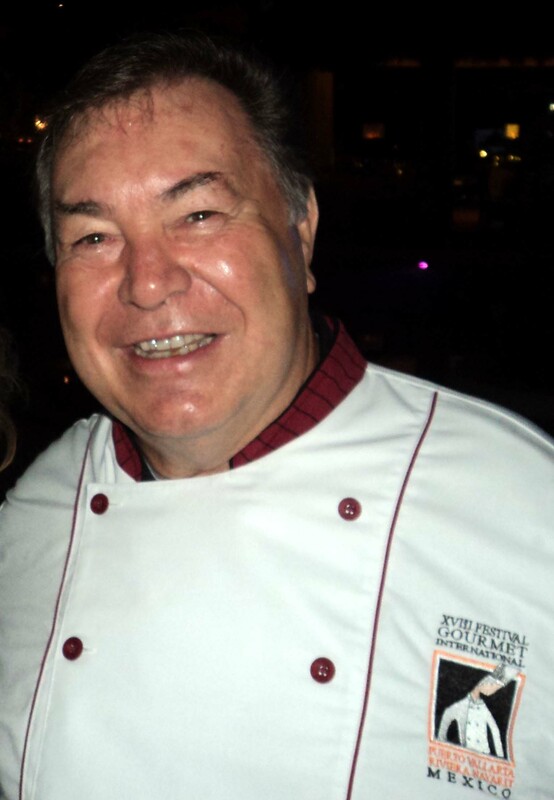 During the gala the brain chefs of the annual event shared �We are happy to be celebrating our 18th year here in Puerto Vallarta, and are so lucky to have over thrity-five star chefs participating this year� said Master Chef Theirry Blouet. 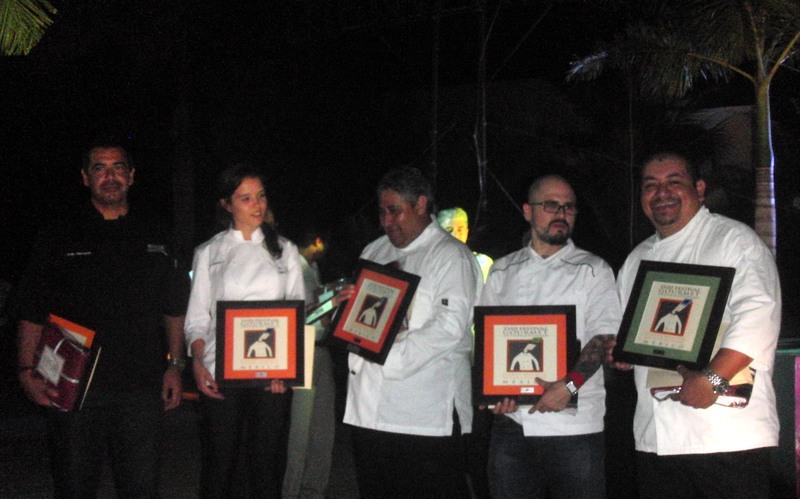 �If the opening gala here at Marival in Riviera Nayarit is an indication of how well this year�s event will go we are in for something so great� said Master Chef Heinz Reize. For eighteen days guests enjoyed Safari Dinners at participating restaurants, Chef�s table & winemakers nights, gourmet cooking demonstratons, Kitchen Aid demonstrations, International Culinary Symposiums lead by chefs and leaders in the food industry, cheese of the world and wine tastings along with the opportunity to meet many of the finest chefs in the world. I enjoyed meeting with many of the chefs such as Chef Patricia Quintana, owner of Restaurant Izote in Mexico City, who has devoted forty-five years to the research of indigenous Mexican cuisine, and created Waves Dressings. 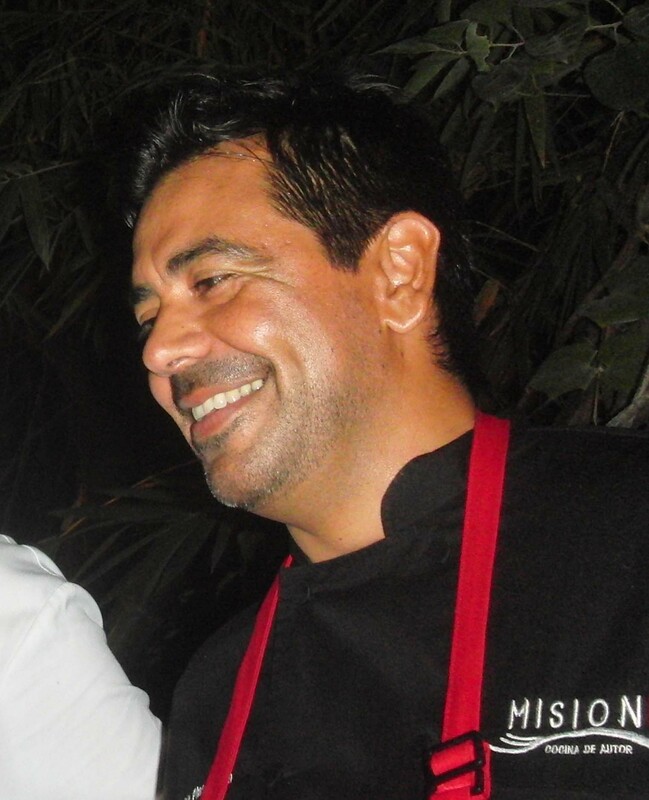 Javier Plascencia of Baja California is not only a drop-dead handsome look alike for actor Javier Bardin, but he is a teacher, owner of several successful restaurants and the founder of the Baja Culinary Fest. Plascencia was guest chef at Caf� des Artistes and the dishes this dynamic duo prepared were magnificent. According to the Plascencia he will be opening a new restaurant soon on Beverly Boulevard in Los Angles. 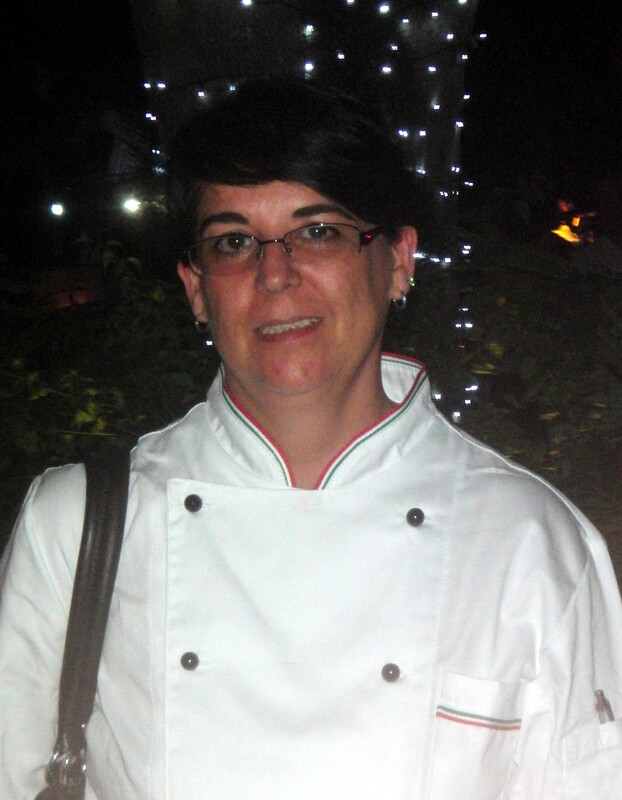 I was also delighted to meet Chef Tiriana Piras of Restaurant Grand Italia Savona in Italy, who was very pleased to be guest chef at Porto Bello Bistro & Lounge, and we were all completely amazed by the fantastic sushi & fish flavors prepared by Master Sushi Chef Richard Bishop from Mikado in the JW Marriott Desert Springs Hotel & Resort in California. Although I did not have an opportunity to personally savor the dishes of Chef Corey Fuller, Caf� Puck in the Museum of Contemporary Art, I enjoyed talking with him about the colorful plates he and Chef Wolfgang Puck have designed to please the tastes of the Chicago art loving crowd. 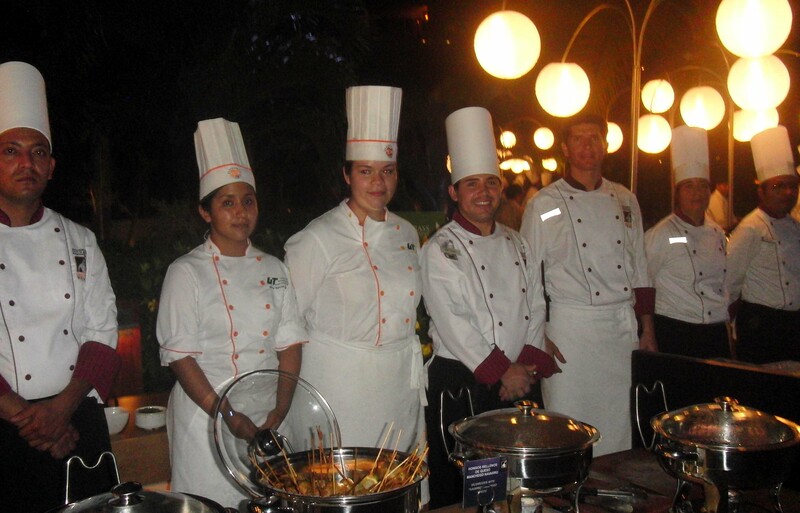 The participating restaurants at XVIII Festival Gourmet International included Caf� des Artistes at/en Thierry Blouet Cocina de Autor, Coco Tropical, El Arrayan, El Fogoncito Tepic, Emiliano Comida y Vino (Tepic), Frascati, Kaiser Maximilian, Le Leche Almacen Gourmet, La Palapa, La Patrona Polo Club, Las Pampas (Tepic), Porto Bello Bistro & Lounge, Sanzibar Gastronimia Elenental, The River Caf�, Trio, Andrea (Velas Vallarta Suites Resort &Convention Center), Blanca Blue Restaurant & Lounge (Garza Blanca Preserve Resort & Spa), Boca-Dos STK Bites & Meats (Garza Blanca Preserve Resort & Spa), Caf� des Artistes del Mar (Hotel Cinco, Punta de Mita), Don Quijote (Barcelo Premium, Puerto Vallarto), Frida (Grand Velas Riviera Nayarit), Green Bistro (La Tranquila Breath Taking Resort & Spa, Punta de Mita), L�Isola (Fiesta Americana Puerto Vallarta), La Casona (Villa La Estancia Beach Resort & Spa, Nuevo Vallarta), ikado (Casa Magna Marriott Puerto Vallarta Resort & Spa), Nicksan (Marival Residences & World Spa, Luxury Resort Riviera Nayarit), Omaggio (Marival Residences & World Spa, Luxury Resort Riviera Nayarit), Sea Breeze (The St. Regis, Punta Mita Resort), Tramonto (The Grand Mayan, Nuevo Vallarta). Muchos Gracias to the Puerto Vallarta Tourism & Convention Bureau and all the organizers and participants for this fantastic and delicious gourmet experience. For additional information please visit www.festivalgourmet.com. The 4th Annual TASTE AWARDS, the premier awards show celebrating the year's best in Food, Fashion, and Lifestyle programs on Television, in Film, Online, and on Radio is pleased to announce this year's award winners. Award Winners were announced today via livestream, and will receive their awards at the TASTE AWARDS Red Carpet gala and reception in Los Angeles on January 17th, which will be filmed for later broadcast. SPECIAL ACHIEVEMENT Honoree Awards were announced for Andrew Zimmern [Tastemaker of the Year], Wolfgang Puck, Gordon Ramsay [Pioneer Award], Vice Munchies, Cook Taste Eat, Hungry Channel, Tasted Channel [Kikkoman Breakout Foodies of the Year], About Face: Supermodels Then and Now (HBO), Nowness.com, Real Housewives of Beverly Hills (Bravo), Styled By June (VH1) [Breakout Fashionistas of the Year], The WIGS Channel [Breakout Storytellers of the Year], Marcus Samuelsson [Outstanding Vision], Fabio Viviani, Joe Ciminera [Outstanding Passion], Jiro Dreams of Sushi [Outstanding Inspiration], Nadia G [Outstanding Entertainer], Chicagolicious (Style), Shahs of Sunset (Bravo), Cooking with Dog [Guilty Addiction of the Year], Laura in the Kitchen, the Naked Wine Show, Small Screen Network [Great Taste], House of Style (MTV) [Stylemaker of the Year], "The Pioneer Woman Cooks: Food from My Frontier", and "The Dahlia Bakery Cookbook" [Outstanding Enhanced eBook]. 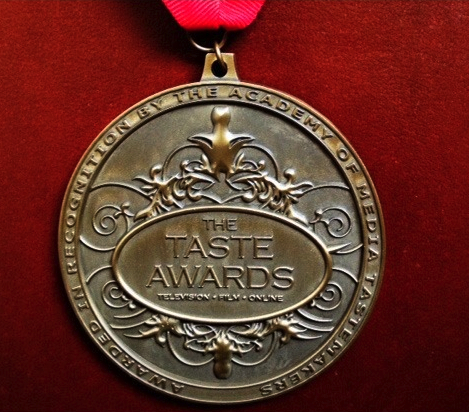 A full list of Award Winners, Honorees, and Nominees, plus event photos and coverage, can be seen on the site, www.TheTasteAwards.com. Congratulations to all Nominees, Honorees and Award Winners! 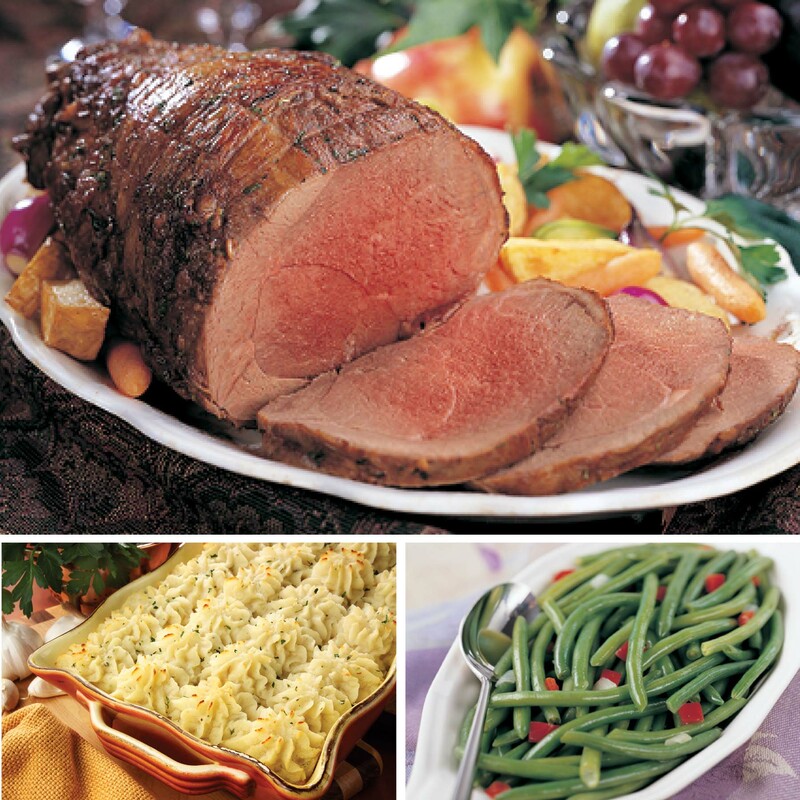 LET OMAHA DO THE COOKING THIS YEAR!